This book is about an officer who does safety speeches at schools for school children. One day he is assigned a police dog named Gloria. She accompanies officer Buckle to the speeches. Normally, students are bored by them. However, this time students are highly enthusiastic because unbeknownst to the officer, Gloria acts out all of the safety rules behind his back. Which upsets officer Buckle. He wanted the students to pay attention to him, not Gloria. 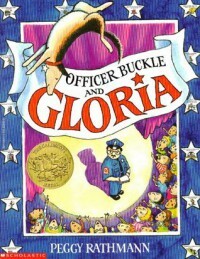 In the end though, officer Buckle likes doing speeches with Gloria. This book is a great teaching tool for students to learn about getting along with new people. In the beginning the officer was skeptical about working with Gloria. Then he realizes that they really can work together to spread safety awareness. This book has a lexile level of 510L so students in 1st or 2nd grade could read it.